Wolf WPA is one of the premier brands in steel cased ammo manufacturing. 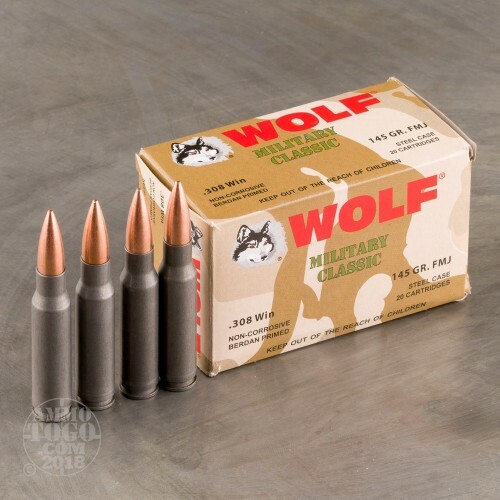 Non-corrosive and reliable, Wolf ammo distinguishes itself from the typical Eastern European rounds. 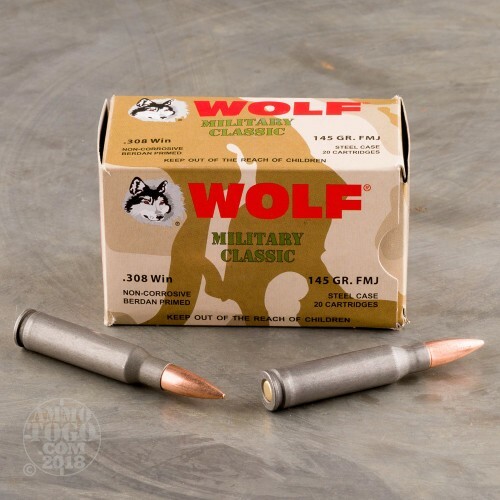 These rounds are steel cased and Berdan primed, helping keep the cost low, but making them not reloadable. 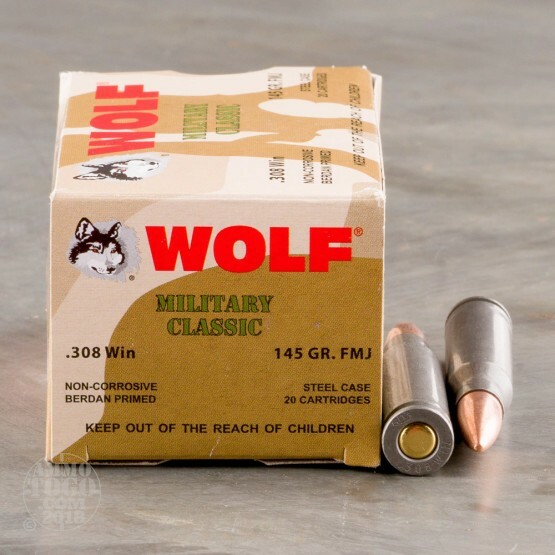 The .308 Win is one of the most popular rifle rounds in America. Developed in 1952, two years before the NATO 7.62x51mm, the 308 Win is great for hunting, target shooting and match competitions. 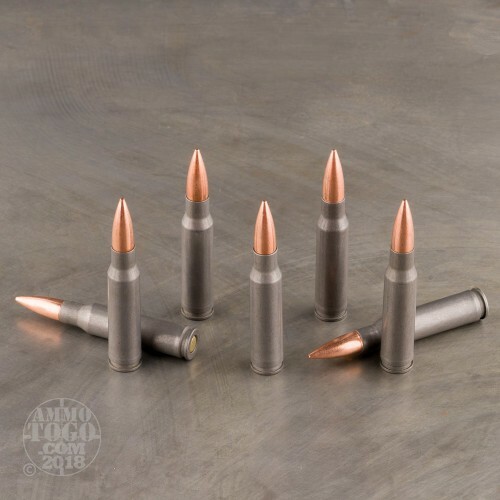 These 145 grain, full metal jacket rounds fire at a velocity of 2750 feet per second and are perfect for range training. Pick up a 20 round box today!